Happy Wednesday! This week SVG Cutting Files is coming out with some new CUTE treat/gift boxes. Todays box is the Tall Scallop Box. These files will be available FRIDAY! Here is how I used the new Tall Scallop Box. Isn't it cute? So many different items you can put inside it, and I love how tall it is. From Jaded Blossom I used stitched circle dies, scallop circle dies, Spring Dies XL, and Birthday in Style. 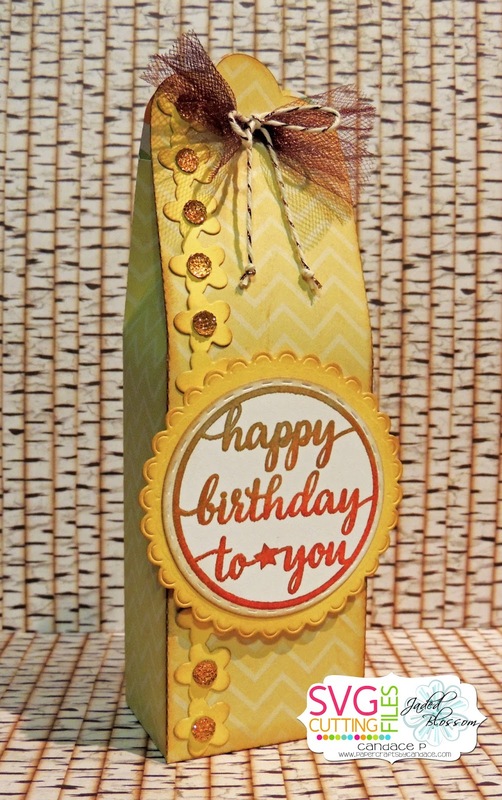 I stamped the sentiment using an ombre ink pad and then added clear embossing powder over the top and heat embossed it.